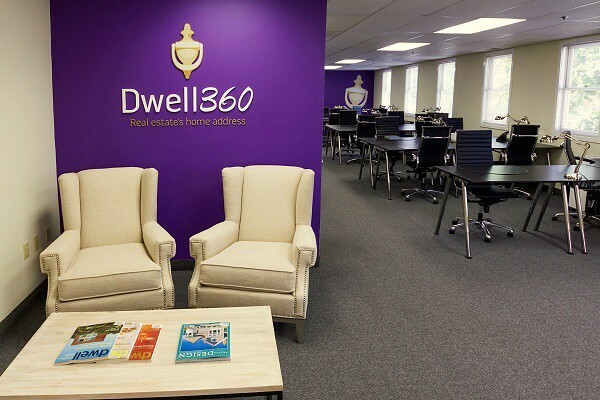 Dwell360 is proud to announce the opening of our new, state-of-the-art, real estate office in Newton. We have created the next generation real estate office which has been designed with the tools and environment for productivity and innovation. Commitment to paperless systems, flexible work spaces, and team collaboration are all at the core of this innovative work environment. Our headquarters will better service our customers and support the continued growth as an independent real estate brokerage. Just across the street from the Shaw’s over the Mass Pike. 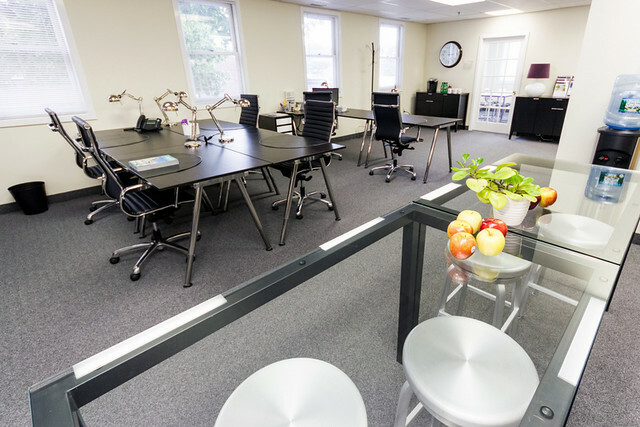 The office is open and bright, filled with natural light, providing an energetic space in which to work. 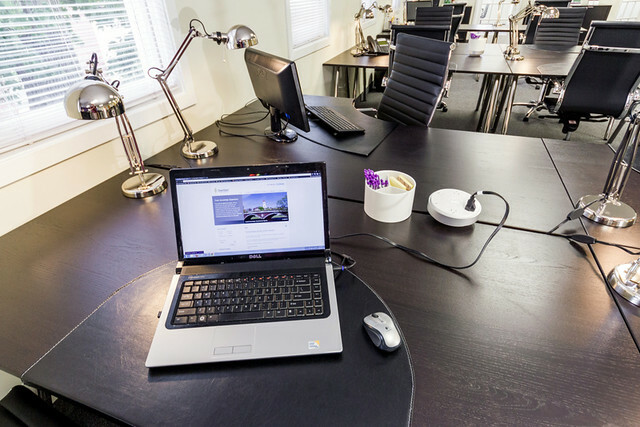 We also have four conference rooms for meetings and private work. 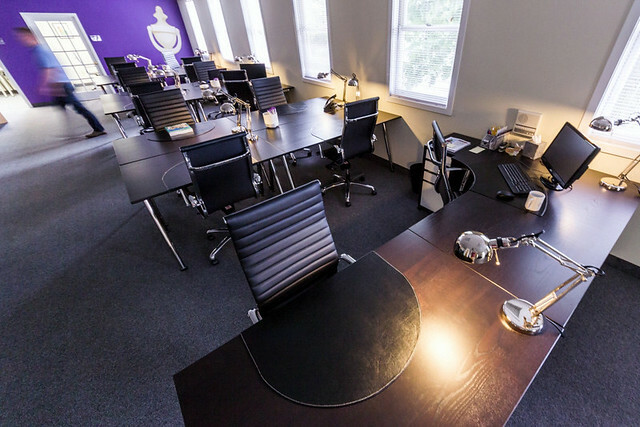 Our unique layout allows a place for agents to work as a team to produce the best marketing and achieve the best overall results for our clients. 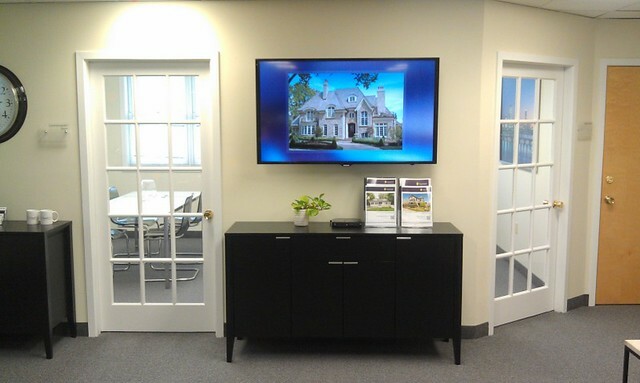 Among our most exciting features are the three flat-screen TVs that we use for meeting with clients, training agents, conducting first-time home buyer and refinancing classes, and hosting other special events. 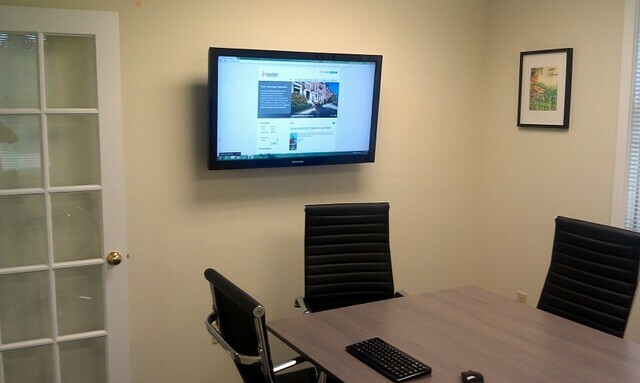 The TVs make it even easier for us to work collaboratively with our clients while searching for real estate options and sharing marketing ideas. Plus they reduce our need to print, an important step toward our goal of being a green real estate office. Our agents are hard at work in the field. 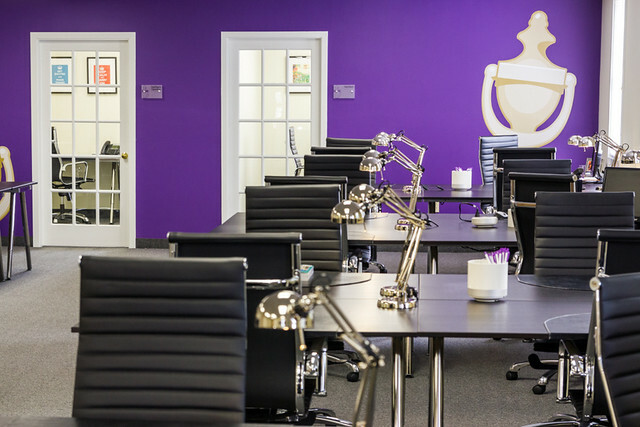 When they stop in the office, they can quickly connect to our wireless network and charge up at desktop power ports. To produce our superior marketing materials, we have a large resource area with a premium printer and state-of-the-art publishing tools. While we are excited about our new space, we are even more proud to announce that our business has grown 100% year-to-date over 2011. We will continue to grow with the support of the community we serve. We look forward to working with you. See our photos in our gallery. 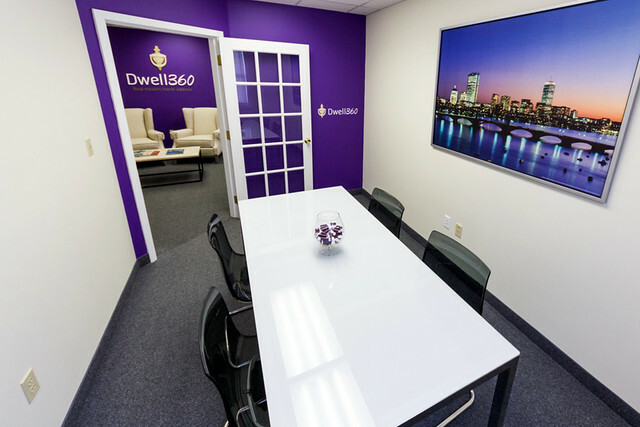 Dwell360 is a residential real estate firm based in Boston and Newton Massachusetts who services the cities and suburbs of metro Boston. We are focused on our customers and our experience in the residential real estate market is extensive. Search for homes in Massachusetts and then give us a call.